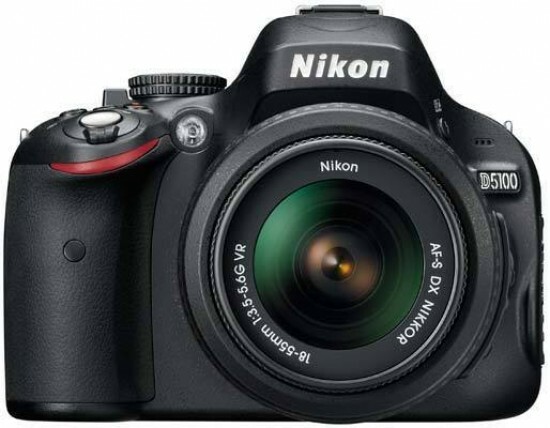 Reviews of the Nikon D5100 from around the web. The Nikon D5100 is a newly designed camera improving on the Full HD video of the D5000 and introducing a new horizontally swivelling 3inch screen, and a new more compact body, that is 10% smaller than the D5000. It also introduces a new "creative effects" mode with 6/7 new filters, as well as a built in "merge to HDR" function, much like the feature you may have used on a computer to merge two (or more) different exposures to create a "High Dynamic Range" photo. The arrival of the D5100 appears to signal the completion of Nikons refresh of its non-pro DSLR lineup. Its feature set and pricing mean that it sits very comfortably between the beginner-friendly D3100 and the high-end D7000 - it's clearly aimed to attract the attention of enthusiast photographers without cannibalizing sales of is sister models. A camera maker can judge the success of its market positioning by seeing how many people are wondering 'which model is right for me?' on discussion forums - and we think a D3100/D5100/D7000 progression would minimize such doubts. The official line is that the D90 maintains its position in the range, but both its naming and overlap with other models suggest that its role is now more one of historical interest than future significance.